Absolutely luxurious! This marabou feather trim is so soft and full , it feels like fur! 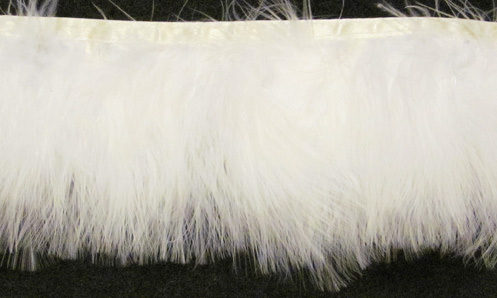 The soft white marabou trim is bound on a tape across the top. 3 1/2" long.